"Before receiving the tables and chairs from FH Burundi, four to five children shared a small desk. But now each child has his own table and chair. It makes it easier." Rural communities in Burundi are well overdue for some serious education upgrades. Normally, when we think of education resources, we imagine fully equipped classrooms, smiling teachers, and freshly sharpened #2 pencils. Creating a dynamic educational environment requires all those things, and so much more! For example, did you know that hygiene clubs, solar lamps, and clean water can make a world of difference to a child's education? 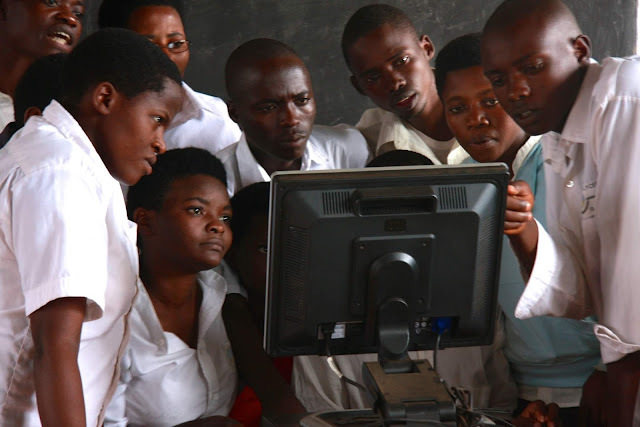 Here are some of the exciting ways that education has recently taken a turn for the better for students in Kayanza, Burundi. 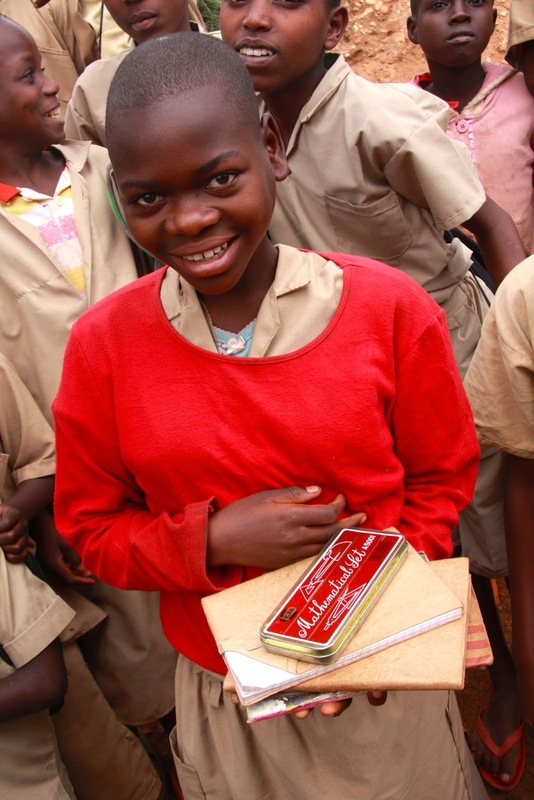 In Burundi, it’s mandatory that students wear a uniform and have the required supplies. In Kayanza, there are also school fees: 8,000 Burundian Franks (BIF) ($5 CAD) for primary school and 25,293 BIF ($15 CAD) for secondary. Thanks to the generosity of donors, FH was able to cover the cost of a uniform, supplies, and tuition for some families in the community whose children would otherwise fall behind at school as their parents work with FH on income-generating and savings practices. This year, 973 children received supplies and 923 students received new uniforms, and almost 200 received help with tuition! Children in the Musema and Shembati communities are no longer crammed four or five to a desk. 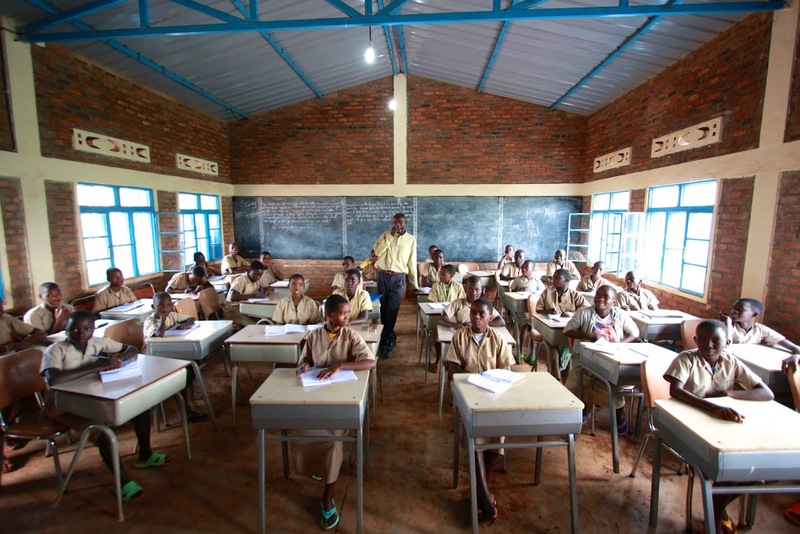 Classrooms at both schools have been resourced with desks, chairs and blackboards to make the students’ and teachers’ time in the classroom more efficient. In addition to the new furniture, the community education office have received a much-anticipated computer. Previously, teachers or administrators had to travel 40 kilometres to use a computer for their reporting! 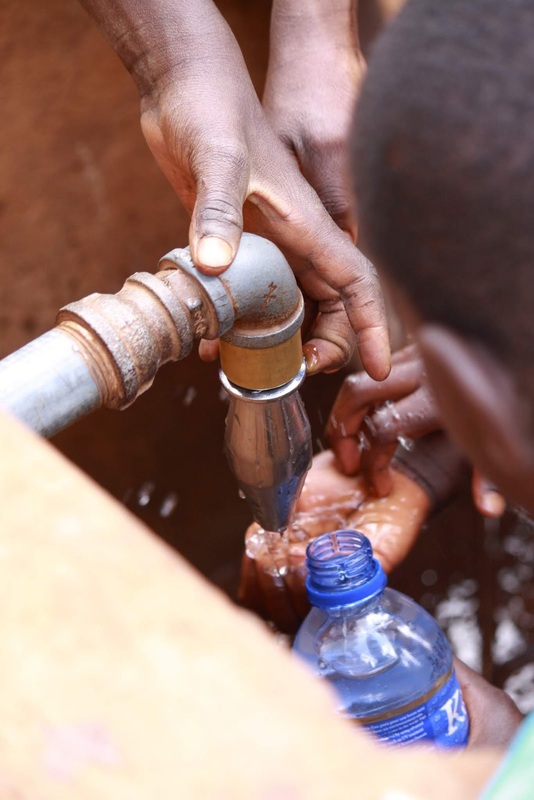 We tend to take it for granted that water will come out of the tap when we turn it on, but in Burundi, many communities are still without regular access to clean, fresh water. The Shembati school, still relatively new, was one of several spots selected for a rain water tank built along with a new Water Gravity pipeline system. Over 500 children in grades one through six now have a clean water source at school for drinking and hand washing. When school is not in session, community members are invited to access the water for drinking and household use. We also tend to take it for granted that when we flip a switch, a light comes on. But this isn't the case the whole world over! Not all families in the area of Kayanza have access to electricity or lamps. So, since February, four Kayanza primary schools have been using solar panels to catch the sun’s rays to power electric lights so that students can continue studying after it becomes too dark at home. About 800 students trek back to school in the evenings to take advantage of the lit classrooms to continue working on their lessons. Through monthly meetings and one-day trainings with FH staff, teachers are getting the support they need to help their students succeed. Recently, 90 teachers met to discuss the reasons children drop out of school or repeat grades, and were able to learn new retention strategies. 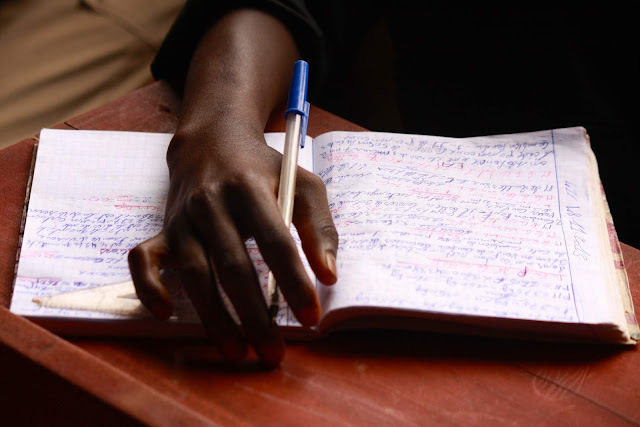 From January to June, remedial classes were offered for grade five and six students struggling in school to help prepare them for national exams. Parents got behind the initiative and encouraged their children to attend; 575 students participated! Seventy per cent of the students involved have been able to improve their results so far. The area’s five primary schools have a wide variety of clubs for the students—everything from livestock care to sports clubs to fine arts. FH staff work with the kids to develop leadership qualities and skills while helping them become more involved in their community’s development. For example, members of a hygiene club at one school have helped keep their environment clean by creating and maintaining a compost pit for all their decomposable litter. 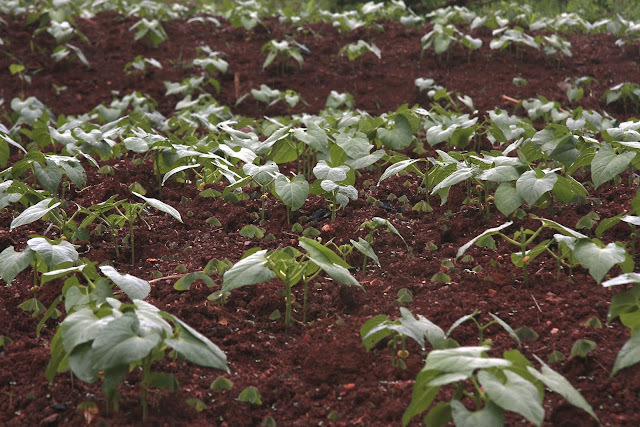 They’ve even planted squash around the pit to make the most of all the nutrients from the compost! 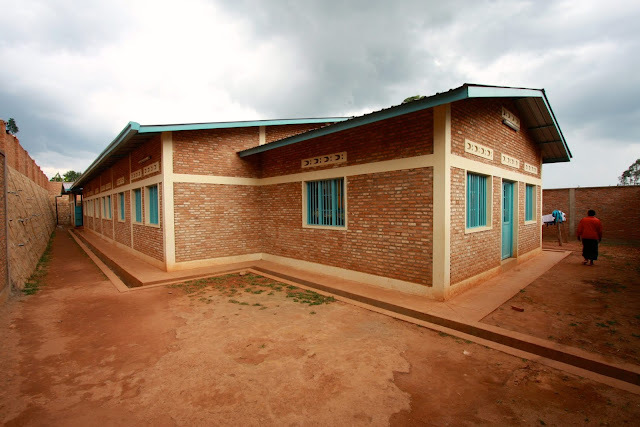 As you can see, access to education in Burundi is quickly becoming more universal and school facilities are getting major upgrades. Teachers are benefiting from increased training and support, while innovative projects and clubs are coming to life on primary and secondary school campuses. 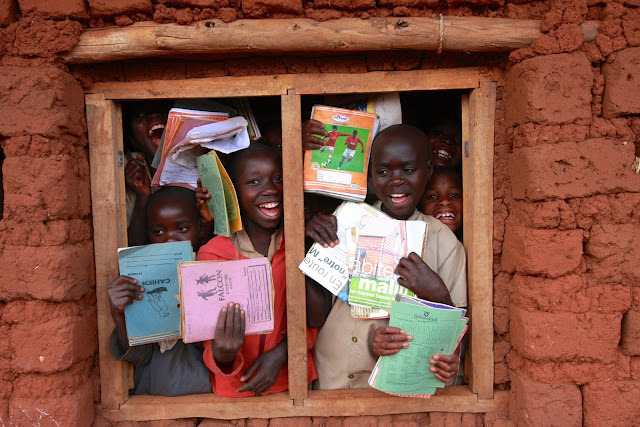 Due to the generosity of donors and sponsors, resources are becoming available to set Burundi on it's way to having a flourishing educational environment for children, teachers, and communities. If you are passionate about seeing access to quality education expand globally, visit our website to find out how you can get involved!